Aquifer: The naturally occurring geologic formation that yields sufficient water to justify the cost of installing a water well. 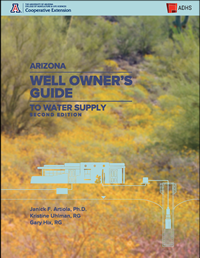 Completion Report: A form provided by the Arizona Department of Water Resources for the well owner to report the as-built construction data of the pumping equipment installed in the well. It must be filed by the well owner within thirty days of completion of the pump installation. Pump Setting: The depth measured in feet to the pump inlet as it hangs in the well. Pumping Water Level: The depth to water in a well at a specific point in time since the pumping began. The pumping water level drops rapidly at first and then slowly reaches a point of equilibrium as the rate of replenishment matches the pumping rate. Sanitary Seal: A curtain of cement grout that is approximately two inches thick and extends from the land surface to a depth of twenty feet surrounding the uppermost steel well casing. 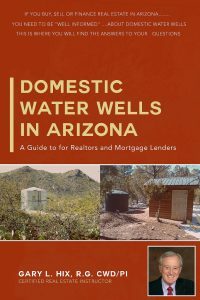 A minimum well construction requirement for all water wells as per the Arizona Department of Water Resources. 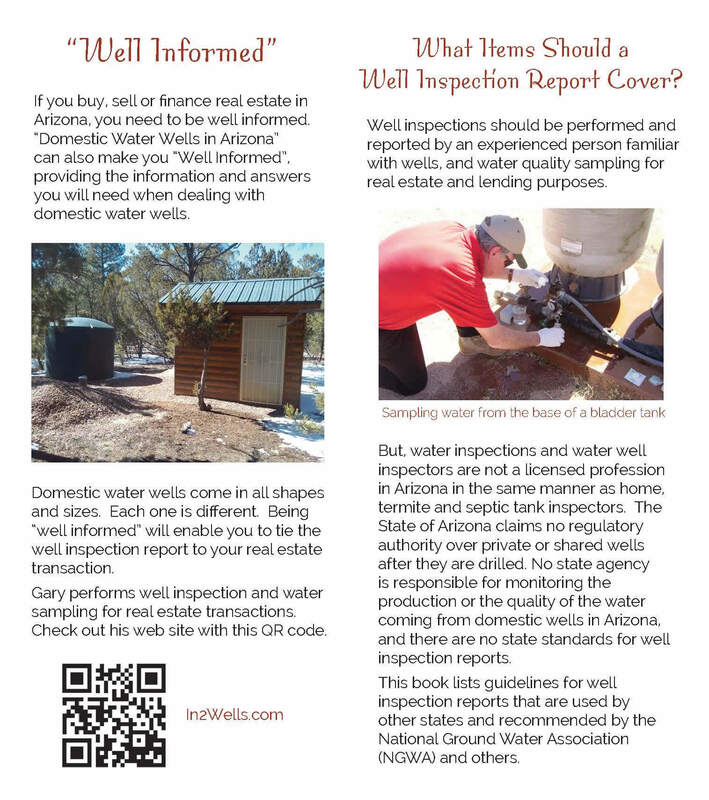 Static Water Level: The depth to water in a well while the well is not being pumped. Sustained Yield: The established rate that a water well can be pumped without experiencing extended drawdown of the pumping water level. Total Depth: The depth measured in feet to the true bottom of the well, or to the top of fill material inside the well, whichever is the lesser. Well Drillers Log: A form provided by the Arizona Department of Water Resources for the well driller to report the as-built construction data. It includes a geologic log of the formations encountered while drilling the borehole. It must be filed by the licensed well driller within thirty days of completion of the well. Well casing: The tubular structure placed in the borehole to maintain the well opening. It can be steel, PVC, fiberglass or HDPE. Well screen: The tubular structure placed generally at the bottom of the borehole to allow water to enter, but keep out the sand and gravel of the aquifer. It can be steel, stainless steel, PVC, fiberglass, or HDPE.